When you consider the scenario that might have to occur at offensive tackle should Joe Staley or Anthony Davis ever get hurt, it’s really no surprise that the 49ers are kicking the tires on Jason Smith. If Staley or Davis were out and the team wanted to put their top backup in the vacated spot, the 49ers would most likely have to shuffle the line. After all, the next most trusted tackle on the roster is currently playing right guard. Alex Boone was the primary reserve at the position until he transitioned to guard last season. Boone has been tremendous since switching positions and moving him to tackle would weaken the interior of the line. The 49ers do have ample depth on the inside with Daniel Kilgore, Joe Looney and Adam Snyder all able to step in but none of those players are primarily a tackle. Snyder has played there before and could again but he wouldn’t exactly inspire much confidence. In a perfect world, the 49ers would be able to find a veteran who could step in at tackle, keeping the other positions in tact. Smith, the former number two overall pick, has struggled during his disappointing career but the fact that the 49ers have brought him in for a workout shows they have some major concerns about life without Staley or Davis. 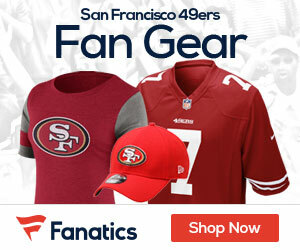 Be the first to comment on "49ers have few options at tackle past Staley and Davis"